BIRMINGHAM, England—Britain finally has the all clear to hand its official notice to the European Union, but Brexit isn’t done and dusted by a long shot. After her government faced two legal battles and a white-knuckle ride through Parliament, on March 13 British Prime Minister Theresa May was given authority to sign Article 50, which triggers the Brexit process. May is expected to sign Article 50 by the end of the month. The United Kingdom then has two years to renegotiate its relationship with the EU. The outcome will determine what Brexit really looks like—and if it delivers the expectations of the 52 percent who voted leave. Some—including former Prime Minister Tony Blair—believe the public may change their minds as the reality is revealed. “I accept right now there is no widespread appetite to re-think. But the people voted without knowledge of the terms of Brexit. As these terms become clear, it is their right to change their mind,” Blair said in a speech in London on Feb. 17. It is not irrevocable. You can change your mind while the process is going on. For Brexit to falter, public opinion, political reality, and constitutional matters must align. May’s government has insisted Article 50 cannot be reversed but has studiously avoided clarification. In the Supreme Court case last year that forced the government to put enacting Article 50 to a vote in Parliament, the government avoided certain legal arguments that risked clarifying the reversibility of Article 50. The government has promised Parliament a choice between the deal it makes with the EU and no deal (meaning a default to WTO rules). But some legal experts say that Parliament should be able to veto both options, which could lead to a rejection of Brexit. If the government does not grant veto power to Parliament, some have threatened to take the government to court. Of course, if Article 50 is reversible and if Parliament gets veto power, public opinion and politics still have to align. Several questions dominate the future of Brexit: What did the “Leavers” vote for in the referendum? What do they expect? At what cost do they want their wishes met? If Leavers simply wanted to leave the EU, then everything would be clear. But the referendum campaigns were both stuffed with rhetoric around immigration, sovereignty, and economic prosperity, and tapped into an anti-globalization groundswell. If achieving these promises of Brexit proves difficult or costly, it could dull public appetite for leaving. 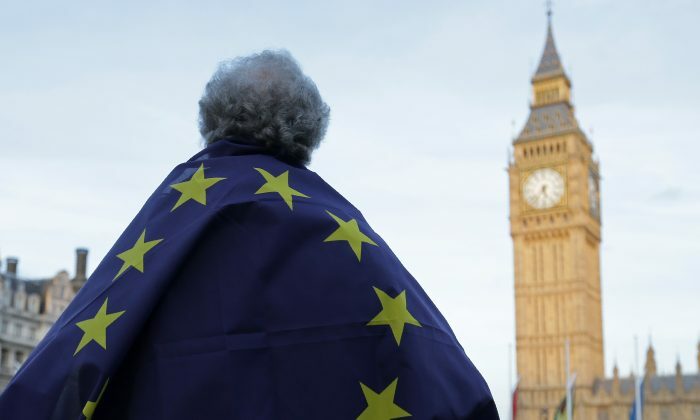 Last week, a House of Lords committee published a lengthy report on immigration and Brexit, which found that net immigration would not necessarily drop post-Brexit, and it will depend in part on how the deal with the EU is shaped. Less than half of Britain’s immigration comes from the EU, and domestic immigration policy is likely a larger factor on net immigration than any existing or future EU immigration policy. While immigration was a major campaign issue for Leavers, the Remain camp hammered a message of economic doom and gloom. The economy has so far defied the dire predictions, supporting the government’s message that a global Britain is ready to do business with the world. Others warn the storm clouds are still gathering. But the Ashcroft Poll said only 1 in 20 respondents said the economy was the reason for their vote to leave. On the other hand, fear of economic disaster was a major motivating factor for Remainers. Meanwhile, Scottish First Minister Nicola Sturgeon added another complicating factor on March 13 when she announced she wanted a second referendum on Scottish independence—with a view to an independent Scotland being a member of the EU. With public sentiment anything but clear, Brexit likely still faces years of public trials before the U.K. fully takes itself out of the EU.